Ascension just gets better and better with each game we play! Each game presents tons of options, and there's a lot of strategy in finding the best route to victory. 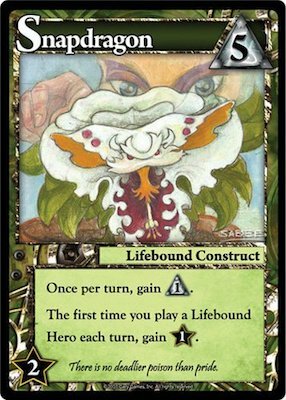 We've ranked each card in the base set along with a brief description on how we evaluate them when playing. Rankings don't take card rarity or rune cost into account, so typically the higher rated cards will be rarer or cost more. Buying this card is basically like buying 1 honor for 1 rune. A fine card to buy if you have 1 leftover rune, but not a card to sweat over. 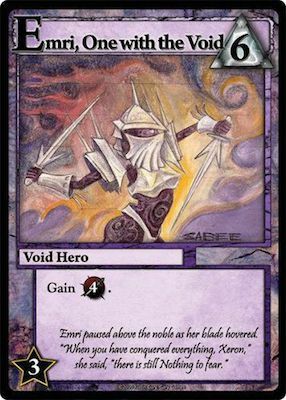 This is functionally the same as one of your starting cards, which are going to be the worst cards in your deck. Absolutely avoid this unless you need honor at the end of the game. 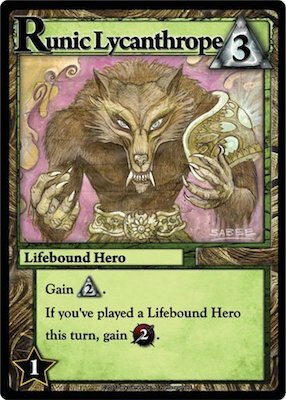 It’s an Apprentice that can gets some incidental honor is not something you want but if you really need a lifebound card to turn on your Snapdragon or Runic Lycanthrope this can be worth buying. This is an Apprentice that will banish your other apprentices. I think this is a fine card to pick up early. 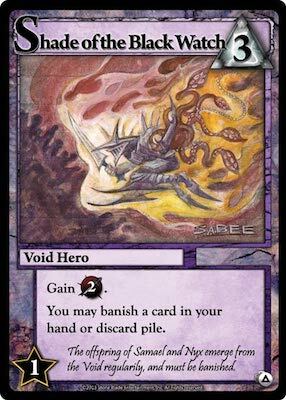 You want to be banishing your starter cards as often as possible to make this worth its spot in your deck but if you are able to banish 2-4 of those cards throughout the game I think this pays for itself. The ability to banish cards from the center row means you get to control the options available to you and your opponent. 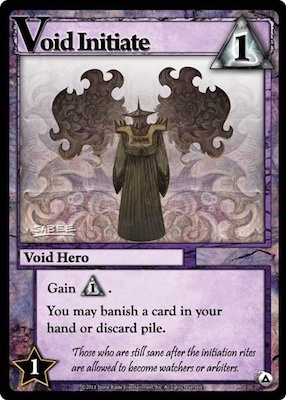 It allows you to banish payoff cards for your opponent or banish bad cards to increase your own options. As the only non monster card that gives you that option, acquiring these should be a priority. This is fine card filtering. Early game it won’t be very impactful, but being able to discard starter cards for higher impact cards will be good later on. It gives 1 Power and replaces itself. You’ll always like seeing this but will never love it. 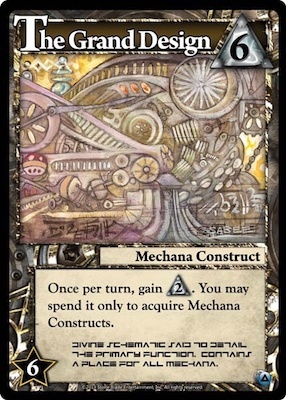 Mechana constructs can be hard to evaluate. 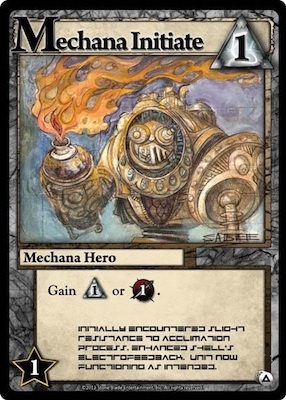 Their baseline is always fine since they are worth their rune cost in honor but their abilities only apply to other mechana constructs. In the Burrower’s case, the card is just fine without any other constructs and great if you find any others. It always replaces itself and you’re fine with destroying it. 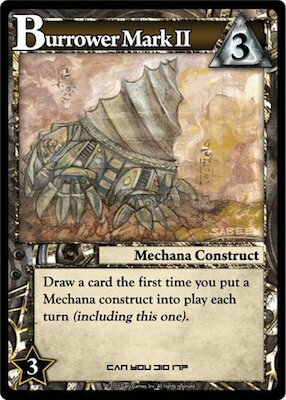 If you can get more constructs that’s icing on the cake, otherwise it’s a fine card. A Heavy Infantry that can replace itself is really strong, and his condition can be easy to fulfill. 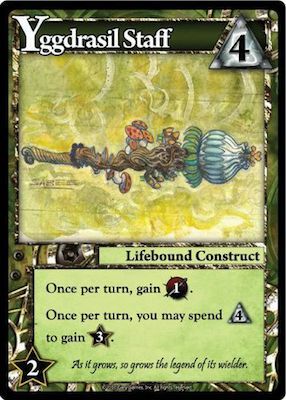 If you have 1 or 2 constructs in your deck this card will become very good. 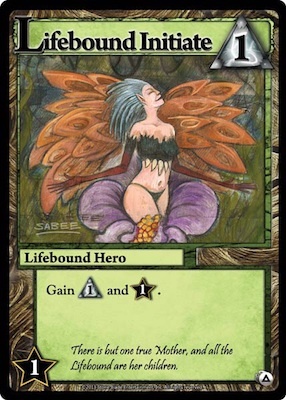 This is one of the big lifebound payoffs in the set. 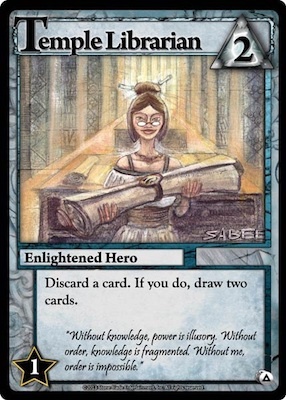 Being able to consistently get 2 power from its second ability will make it one of the better cards in your deck so make sure you get a good amount of support for it. 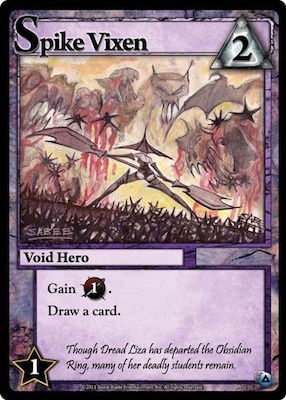 It’s similar to Spike Vixen, but has more payoff cards that it can help enable. 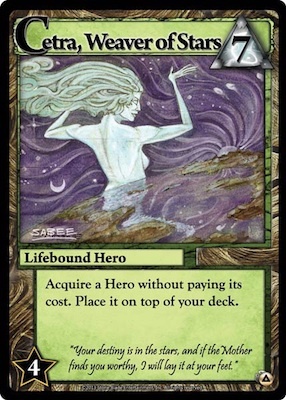 Fine in any deck, great in a lifebound one. 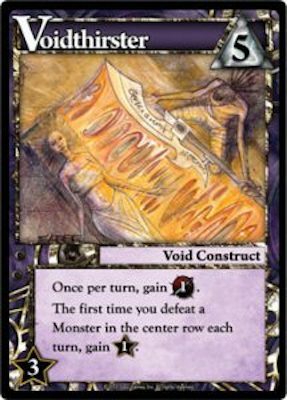 Banishing cards from your deck will dramatically improve it over time and the shade is one of the best ways to do so consistently. 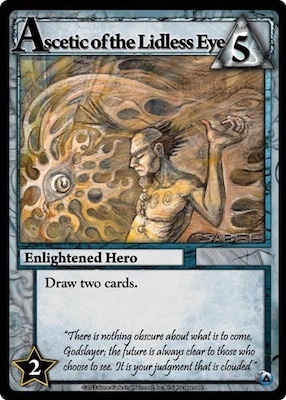 Having 2 power is a bit low for a 3 cost card but the banishing makes it more than worth its cost. It has a lot of small things that add up to a pretty good package. It’s worth 2 honor for 3 runes, it won’t take up space in your deck once you play it, and it makes your Militia’s relevant. 1 power a turn won’t always be amazing, but having that recurring resource will make the difference over time. A very good honor rate on the card itself but gets worse later in the game. 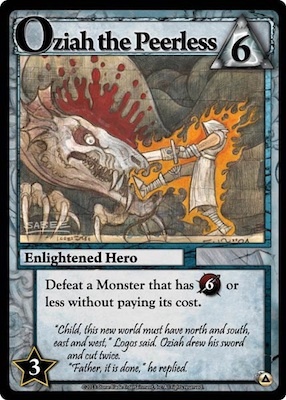 Killing a small monster by himself is impressive early but there will be times when you wish he was just a heavy infantry to help you kill higher powered monsters. 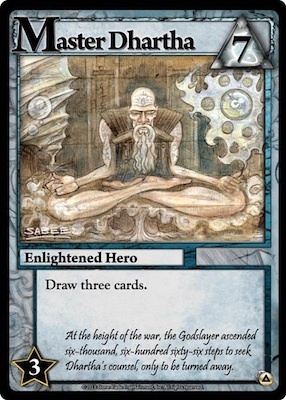 This card depends a lot on the type of deck you have but is usually pretty good. It’s going to end up copying the best card in your hand, so it really shines in a deck with expensive heroes and card draw effects. If this ends up copying a Mystic or Heavy that’s just fine. 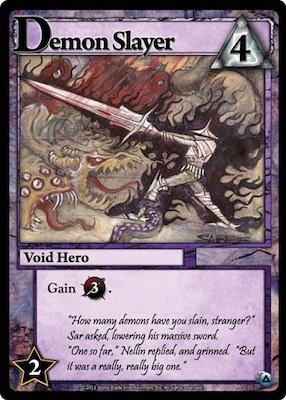 Similar to the Ahra Templar, this card will get less impressive later on when you are trying to build up high rune counts to buy the biggest heroes/constructs. 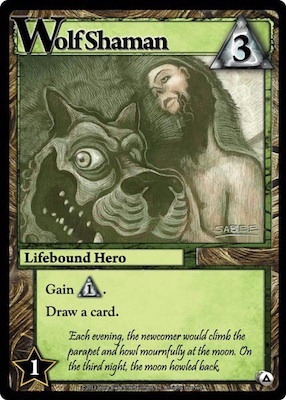 It can synergize with card draw since you can acquire a hero to the top of your deck and draw it immediately. This is similar to the Shadow Star, but can end the game fast. It’s second ability helps you take advantage of an early lead by buying up all the honor before your opponent can catch up. It can be very powerful with more power and lifebound cards. Avatar Golem is a good payoff for playing constructs. Easy to get 1 honor each time you play this card, and if you can get 2 or more this card is a powerhouse. 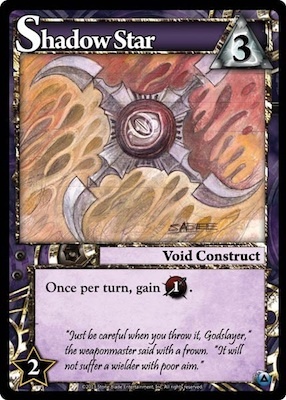 A card worth building around if you buy it early or snapping up if you have a construct or two already. It’s always a mystic and sometimes a lot better. 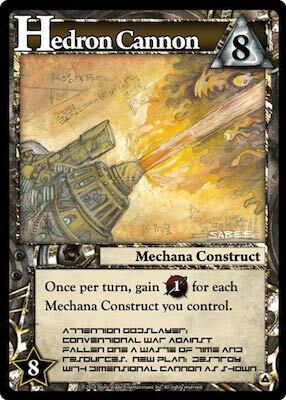 Constructs in Ascension tend to be very powerful since they don’t take up a slot in your deck once played and will give you recurring resources. 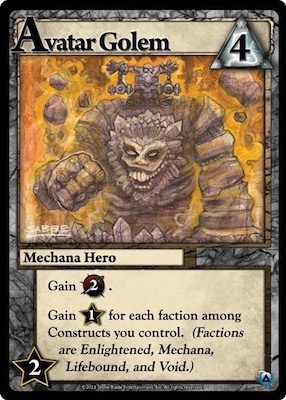 Making constructs of ANY faction easier to buy makes him a very efficient card. 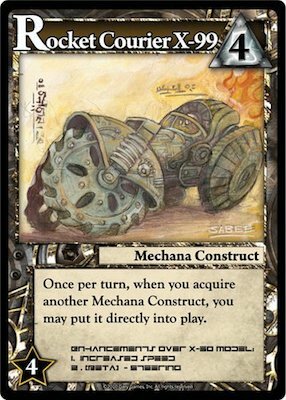 This card really wants more mechana constructs to justify its place in your deck. 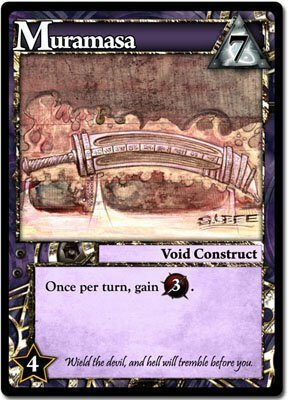 If you buy it and it just sits around it’s not great but if you can put a construct into play immediately even once I think it’s worth the cost. This is one of the best early cards you can buy. It banishes your starter cards and helps you cycle through your deck. 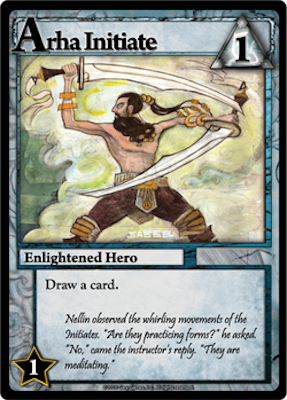 Banishing a card from your hand is not optional, but it’s always worth getting an Apprentice or Militia out of your deck forever. Demon Slayer is an extremely efficient source of power. It helps take down big monsters in the center row and can help end the game quickly if you lean into a power strategy. 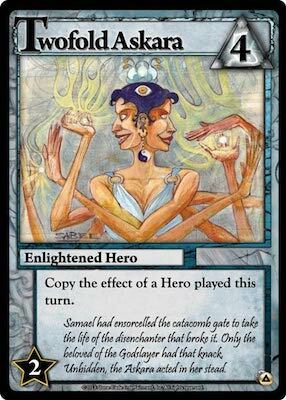 It also makes up for a lack of synergizing with other cards by being very good at what it does. It replaces itself and draws you a new card, essentially giving you a 6 card hand the turn you play it. 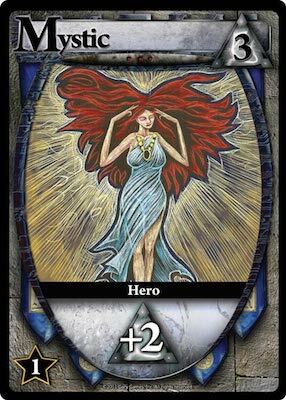 It is powerful at all points in the game, even if you’re drawing starter cards you’re happy. It allows you to cycle through your deck to play your cards more often and helps you build to very large turns where you can acquire/defeat the most valuable cards in the center. It is one of the best cards in the game. Very risky, but can have a huge payoff. You can think of it like trading a turn where you have 5 runes for a turn in the future where you have much better cards that can generate a lot more resources. The trick is you have to buy it early enough that you’ll see it before the game ends but usually you’d rather buy a card that produces resources or draws you cards. Additionally, there’s no guarantee on how well your extra turn will go. It can help you go over the top of and opponent in a long game but if you opponent is draining the honor pool fast it’s probably best to skip it. 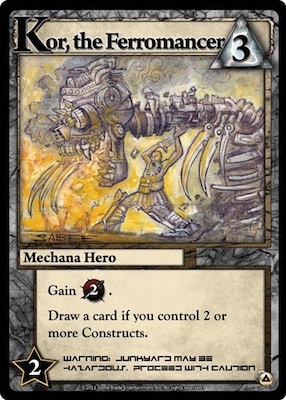 It’s Good if there are mechana constructs and it’s just alright otherwise. If you’re going for a rune based strategy these are the types of cards you should look for, as they give you great honor value while helping you get more high value cards. Good but unexciting. Gaining two honor and drawing are both good, just not very high impact. 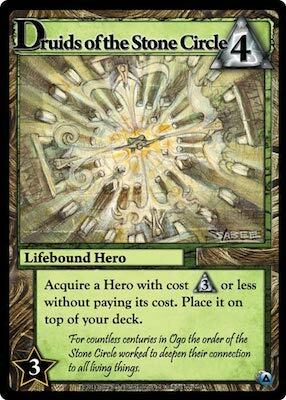 Works best in a power or lifebound strategy where it’s helping you end the game along with cards like Snapdragon and Yggdrasil Staff. Extra runes are always welcome, and 1 honor a turn can get out of hand fast. 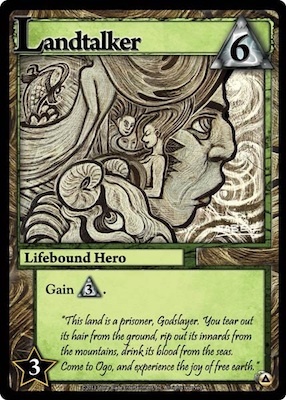 If you just have a couple lifebound heroes this card can give you an edge, and with more this card can be one of the reasons you win the game. If you have a synergistic deck it’ll be one of your best cards otherwise it’s just good. Similar to Yggdrasil Staff this gives you power each turn and helps you accelerate the pace of the game. 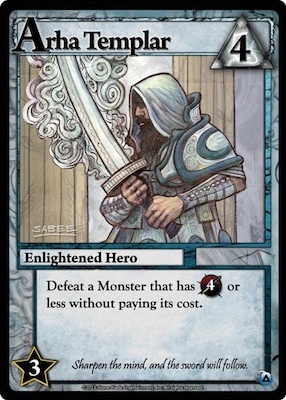 It’s worth a good chunk of honor on its own, but it really shines in a deck that can consistently generate enough power to kill center row monsters each turn. It’s condition is harder to meet than Snapdragon’s, but 1 honor a turn still adds up fast. The best version of the Ahra Templar. 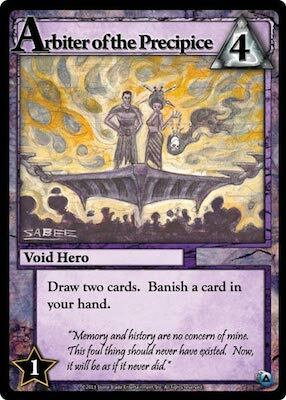 This card will feel really bad when you have to use it on a 2-3 cost monster, but it’s worth it for the times that it can take out a huge monster all by itself. It’s good in any deck as it’ll kill anything but the Avatar of the Fallen, but helps rune heavy decks the most. This is very powerful in a vacuum but it’s best in slower games. If your opponent is trying to end the game fast you may only get a couple of uses out of this, in which case its done its job just fine. If you are both playing a long-game strategy, it can really put you over the edge. Situationally very good, otherwise just good. 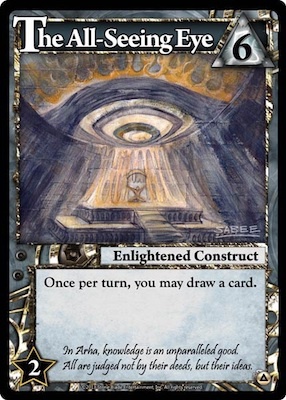 The Grand Design is a bigger and better version of Watchmaker’s Altar. 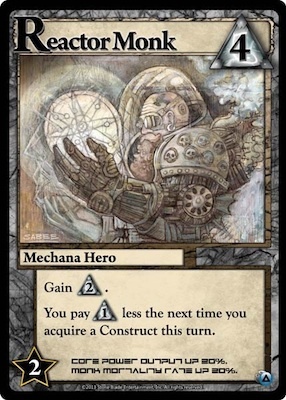 Helps get you to the point where you can buy the biggest Mechana constructs fast and lets you buy all the others super cheap. Even in a non-mechana strategy, if you’re trying to win the game with runes this is going to get you high value cards very cheaply. This is a ruthlessly efficient card. Getting 3 runes is a lot more than 2, and this will lead you into huge turns where you can buy the most expensive cards in the game. Amazing card. It’s another ruthlessly efficient card. Getting 4 power is huge, and this will lead you into turns where you can defeat multiple large monsters. In the worst case, you get 2 honor from killing the Cultist twice. Amazing card. Think about everything I said about Ascetic of the Lidless eye but even better. 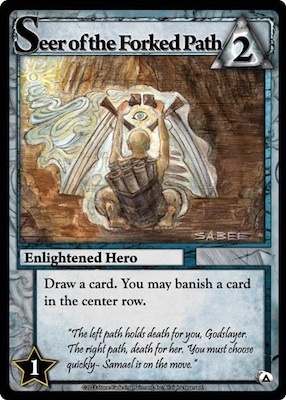 Especially when you get to the point where you’re buying this card, 7 card hands are going to result in huge turns that can swing the game in your favor. It is one of the best cards in the game. Situationally this is great but not very often. By itself the card doesn’t do anything besides get you honor. 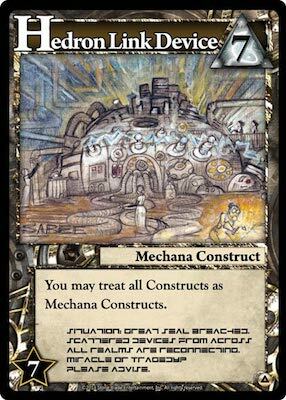 More than any other cards, it requires other cards that care about mechana constructs to anything. 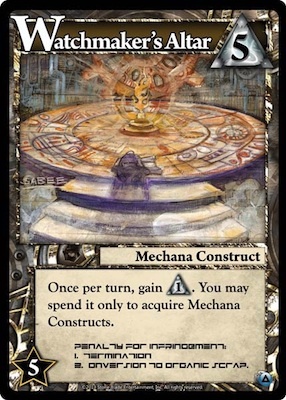 It is worth 7 honor and if you can get it online with another construct it’s very powerful but it’s the mechana construct that needs the most help to make an impact. The better version of the Druids. 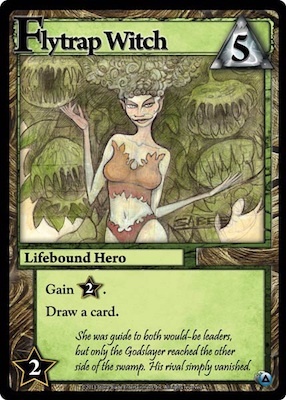 Huge synergy with card draw to get the heroes you acquire immediately but she works great even without that. She will feel lackluster if the center is full of low cost heroes but she’s still going to be very efficient at what she does. This is an absolute powerhouse of a card. 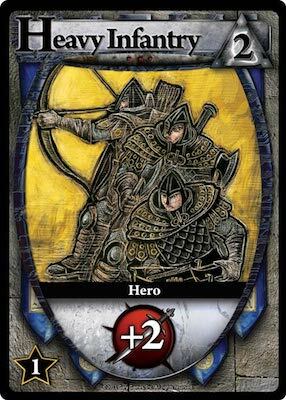 You get 3 power each turn which is going to guarantee at least 1 honor and it just needs one Heavy Infantry a turn to start beating almost any monster in the center row. Additionally, it’s going to allow you to kill the monsters that destroy opposing constructs (Corrosive Widow, Sea Tyrant) to keep itself around forever. It’s one of the best cards in the game. This is similar to Muramasa, but less consistent. If it’s giving you 2 or more power each turn it’s doing its job and probably letting you run away with the game too. 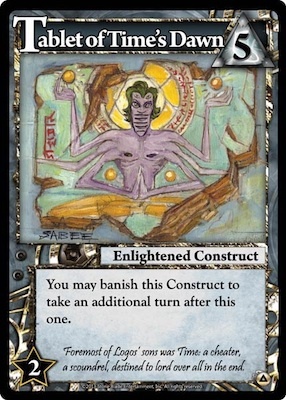 It’s a huge payoff for the construct deck so buy it whenever you can.